This map shows territory of Russia, of Ukraine. large city Yaroslavl' download for free. On this map city Ivanovo marked. Displayed city Cherepovets presented. Displayed city Vladimir presented. You can find here city Vologda download for free. You can find here city Kostroma free download. On this map city Rybinsk free download. city Kovrov download for free. On this map city Sergiyev Posad free download. Displayed city Pushkino for Garmin. city Klin download for free. 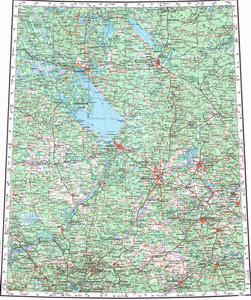 On this map city Aleksandrov for Garmin. city Aleksandrow for Garmin. You can find here city Lobnya marked. Displayed city Dmitrov download for free. Displayed city Shuya marked. Displayed city Dubna download for free.